Bridgland Studios is owned and operated by Jay and Jennifer Bridgland, a husband and wife team, Their flameworked jewelry aims "to redefine the concept of glass artwear and to explore the limitless possibilities of expressing fashion through glass." Baltimore, MD (Sept. 26, 2008) -- A new, juried pavilion of museum-quality crafts will be the centerpiece of the Philadelphia Buyers Market of American Craft, Feb. 13-16, 2009, at the Pennsylvania Convention Center. With the unveiling of the new pavilion, the winter Buyers Market expands its specialty sections. Retailers already can find the top designers of precious metal and gemstone jewelry in the Premier Jewelry Pavilion, and the best in studio furniture and home accessories in the Inspired Interiors Pavilion. To ensure the collector quality of works in the AmericanStyle Gallery Pavilion, exhibitors are being reviewed by the internationally recognized Holsten Galleries of Stockbridge, Mass. Holsten Galleries represents leading contemporary glass artists, including Dale Chihuly, William Morris and Christopher Ries. Featuring home and fashion accessories, art jewelry, wearables, holiday décor and sculpture in wood, metal and clay -- thousands of works by North American craft artists-- the Philadelphia Buyers Market of American Craft is the nation’s largest wholesale tradeshow of fine craft. Online registration for qualified retailers (credentials required) opened October 1, 2008. Retailers can visit www.americancraft.com to get the best deals on seminar and event packages. Returning buyers can also use online registration to upgrade their status to Preferred Gallery, with benefits including a complimentary Web listing for their stores, free copies of AmericanStyle magazine, advertising discounts and more. Buyers can register today by calling 800-432-7238, ext. 195. Artists interested in exhibiting in the new pavilion should email info@rosengrp.com or call 410-889-2933. The Buyers Market of American Craft is produced by The Rosen Group, a Baltimore-based arts marketing, publishing and advocacy firm. The Rosen Group also publishes NICHE magazine, the exclusive trade publication for retailers of fine craft art, and AmericanStyle magazine, the arts lifestyle magazine for enthusiasts, collectors and travelers. The Buyers Market is wholesale to the trade only. 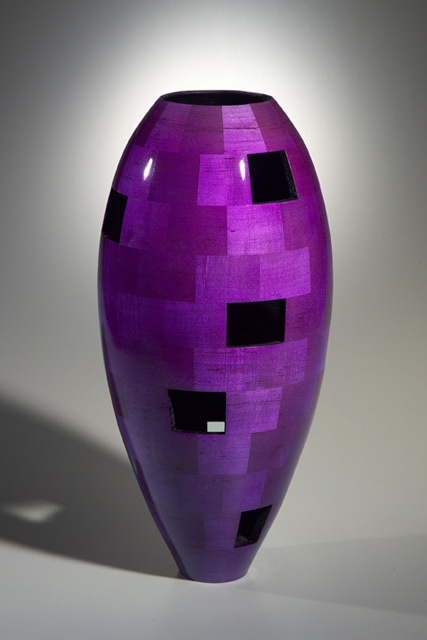 Joel creates stunning wood vessels in his North Carolina studio through a process called "segmented" wood-turning. He precisely cuts and assembles small pieces of wood, often 3 or more species, and turns them to a final shape on the lathe. 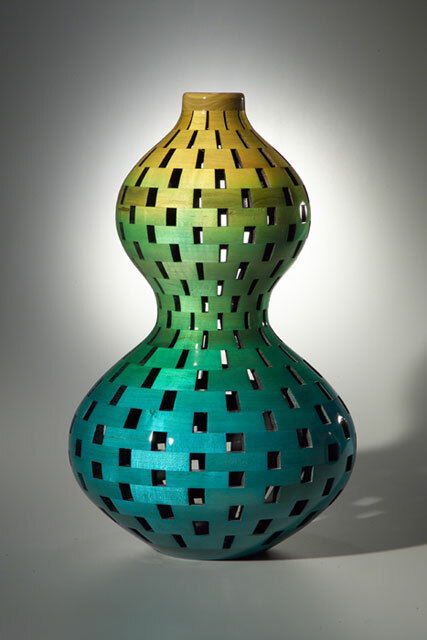 His vibrantly colored finishes create a rainbow of color not generally associated with wood. Buyer registration opened today for the Buyers Market of American Craft, taking place February 13-16, 2009 at the Pennsylvania Convention Center in Philadelphia. Qualified buyers may register online or by calling 800.432.7238 x195. Discounted hotel reservations can also be made through our website or by phone. The Buyers Market is wholesale to the trade only.